The median home sale price in the region increased 4.7 percent in March to $210,300 year over year, according to the RE/MAX Housing Report of Southeastern Michigan in Troy. February’s median home sale price was $199,250, and March 2018’s was $200,891. 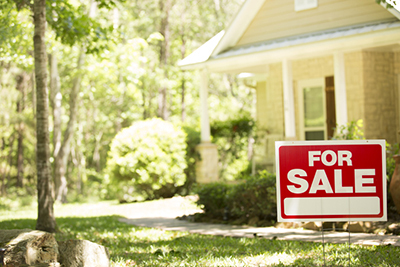 Nationally, the average price was $246,000 in March, up 3.4 percent year over year. The median price in Detroit increased 48.6 percent to $39,000, up from $26,240 the year before. While a big jump, Detroit home prices are still much lower than county averages – the average price increased 6.3 percent in Livingston County to $285,000, 5.5 percent in Macomb County to $174,000, 4.2 percent to $125,000 in Wayne County, and 2.7 percent to $257,200 in Oakland County. Home sales increased 3.2 percent year over year to 3,634, up from 3,520 a year ago and 2,746 in February. Nationally, they decreased 8.6 percent. The most homes, 1,378, were sold in Wayne County, a 1-percent increase year-over-year; 374 of these homes were sold in Detroit, an increase of 15.1 percent. In Oakland County, 1,193 homes were sold, a drop of 3.2 percent, and 877 were sold in Macomb County, an increase of 16.8 percent. In Livingston County, 186 homes were sold, up 7.5 percent. On average, homes in the region spent 46 days on the market, up one day from March 2018 and down three days from February 2019. Nationally, homes spent an average 59 days on the market, an increase of two days from the previous year. Homes in Detroit spent 54 days on the market, up 3.8 percent year-over-year. In Wayne County, homes spent 46 days on the market, up 4.5 percent. Homes spent 52, 44, and 43 days on the market in Livingston, Macomb, and Oakland counties, respectively, down 3.7 percent, up 7.3 percent, and up 4.9 percent, respectively. A 2.2-months supply of homes is available, the same amount as in February. This is down from 2.5 months the previous year. Nationally, a 2.7-months supply is available. A six-months supply is considered balanced.